Engagement season (yep, it's a thing) is fast approaching, so it's a given that we've had the latest emerging trends on the brain—especially the ones that may not have hit the mainstream yet. And for the inside intel, we knew just the person to fill us in: fashion girl–favorite NYC-based jewelry designer Anna Sheffield. We've long been fans of Sheffield's breathtakingly unique designs, not to mention her dreamy Instagram account. Sheffield is always hip to the latest trends, and she has a bevy of cool customers constantly seeking out her pieces, so she knows what's trending in the world of engagement rings better than anyone. When we asked Sheffield about the most surprising up-and-coming engagement ring trend is, her response was unexpected indeed. Says Sheffield, "Beyond the uptick in a more personal, unique approach to engagement rings—both from designers and consumers, which we address in our brand across all of the collections—I would say the desire for semiprecious or precious colored stones has become more prevalent in our clientele. We use a lot of neutral shades in quartz, moonstone, and warm tones like champagne diamonds and morganite, which is a lovely pink-to-peach sister to the emerald." Read on to shop gorgeous semiprecious and precious colored-stone engagement rings by Anna Sheffield and a few other cool designers. Mixed metals don't get prettier than this. Rose gold is the perfect match for this stone. We love the addition of black diamonds to an engagement ring. The word "stunning" doesn't even do this ring justice. If you want a timeless ring, consider this gorgeous morganite-and–champagne diamond option. You won't miss diamonds with a ring this unique. This ring is the definition of a conversation starter. Camellias signify perfected loveliness, which is fitting for this beauty of a ring. This opal ring is perfect for a minimalistic fashion girl. 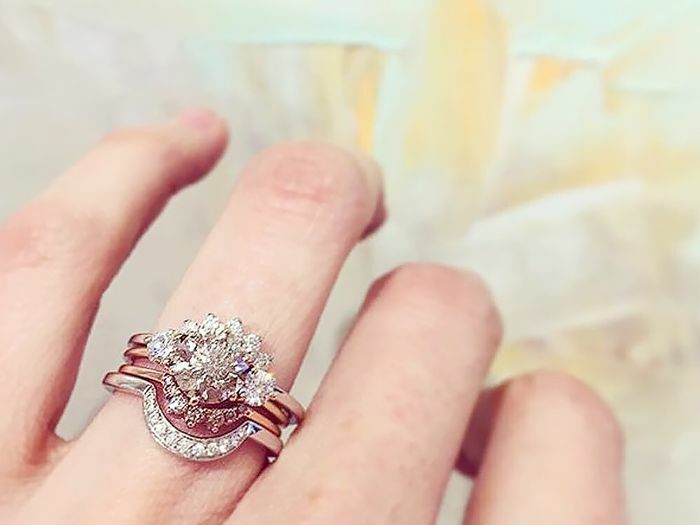 Rose-gold and champagne diamonds are a perfect combination. Want a little color? Consider this heirloom-worthy option. A classic setting with an unexpected twist, thanks to the moonstone. Rustic in the best way possible. Opals and diamonds are a match made in heaven. You can choose from yellow, rose, or white gold with this sophisticated moonstone ring. 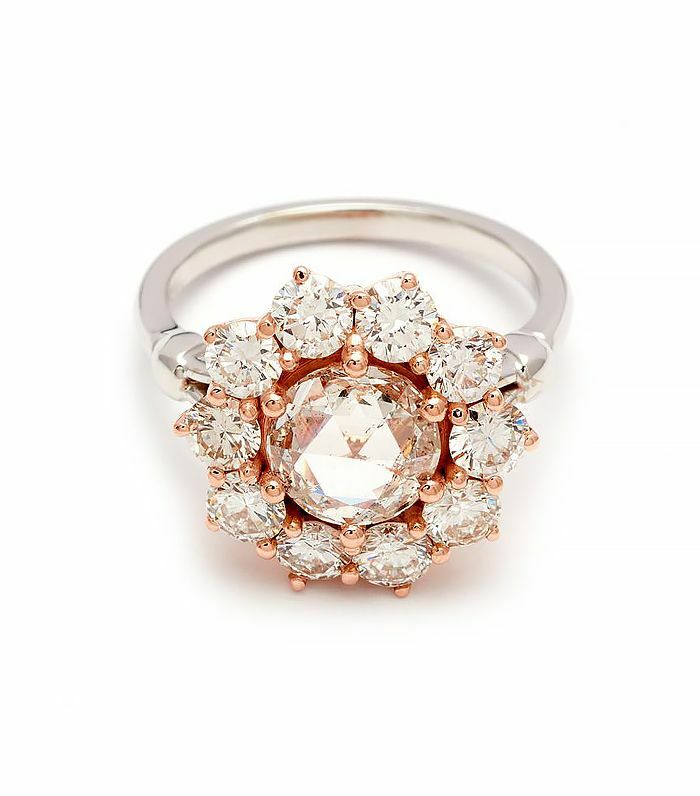 The combination of an Art Deco setting and pink morganite is heavenly. You can't go wrong with pink morganite flanked by diamonds. This ring is worthy of passing down. Next up, find out which engagement ring style will look the best on your finger.